Emergency services vehicles lined the River Wear last night after an upturned kayak was spotted in the water. Teams were called to reports of a kayak upturned on the River Wear where it passes between Fatfield and Houghton. Witnesses have reported seeing police cars, fire engines and ambulances along the riverside yesterday. A upturned kayak had been reported but there were 'no patients at the scene' say the ambulance service. 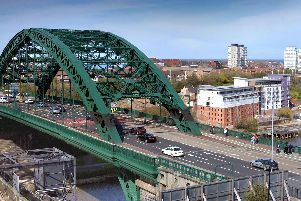 A spokeswoman for the North East Ambulance Service said: "We were called at 18.47pm yesterday to reports of an upturned kayak in the River Wear behind East Bridge Street, Houghton. "Three of our response teams attended the scene and no patients were found."